The last autumn leaves have fallen, the temperature has finally dropped bellow zero, and every day my Russian host lady tells me to wear more and more layers... Meaning it's about time I reflect on my first two months in Russia, and what my experience has been like so far. Please note, what follows is entirely my subjective experience, and should never be taken too seriously. I'd like to start by saying Russia has overwhelmingly positively surprised me. I came here expecting, or rather, accepting the worse: cold people, bad accommodation, terrible weather. Unfortunately, due to the negative perception of Russia and Russians in the West, such expectations are not uncommon. In any case, I'm glad to let you know that the Western idea of Russia is not all true and is sadly influenced by propaganda (which Russians are quite aware of). This is by far one of the most beautiful cities I've ever been to. It's not for nothing that it has been awarded the title of Europe's Leading City Destination for the third consecutive year since 2015. It stands out from the rest of Russia as the most "European" city of the country, and is likewise accepted by most Russians as the most beautiful city in Russia. It was founded in 1703 by Peter the Great who brought in Italian architects to design a brand new, Western facing, cultural capital of Russia. From the outstanding architecture, to the stunning parks, and the countless rivers, bridges, and canals, it's no wonder St. Petersburg has been named the "Venice of the North". I instantly fell in love right after my first week here. I would say St Petersburg is not unlike most major European cities - with shopping malls, restaurants, wide-ranging public transport, a population of 5 million-, but still has something unique about it: the people, the architecture, Russian culture itself, the focus on the arts and culture - with nearly 300 museums and 70 theatres. Even if you're not studying Russian, I would definitely recommend anyone to visit this city at least once in their life, and just get lost - roam the streets, the museums, go on canal tours... You will not regret it. Of course, no city is perfect. If I had to name a few issues, it would probably be how it can be sort of dirty - it rains a lot, so sidewalks can be a bit muddy, especially when it starts to alternate between snowing and raining. Also, at the doorway of pretty much any restaurant you will find a corner completely littered with cigarette buds, as it is not allowed to smoke indoors and Russians smoke a lot. Still, I don't find St Petersburg any dirtier than somewhere like Paris or any major city in the UK. After two months living with them, I can tell you this couldn't be any further from the truth. Yes, Russians will probably not smile and say hi to you on the street, or sugar coat things and add a million polite words to their sentences, but I personally have found them to be some of the warmest, most welcoming and genuine people I've encountered. Once you get past the first 'barrier', and you are welcomed into their personal space, they will open their souls to you entirely. I have never felt so welcomed into a country, and of course this has to do with the great Russian hospitality. They are incredibly generous and good-willed towards foreigners who are also prepared to make an effort to adjust and to accept their culture. In most restaurants and shops I go to, the minute I speak Russian (very broken Russian) to an employee, I can see this micro expression on their faces saying "Oh, a foreigner who's actually trying to speak Russian". They become super helpful, and, surprisingly (if one is to believe stereotypes) very smiley! This is easily understandable, of course, as most tourists do not speak Russian and expect Russians to speak English (perhaps unfairly so). I generally feel that if I ever had any issue, I would always find people genuinely wanting to help me here. However, if you want to travel to St Petersburg and don't speak Russian - don't worry! St Petersburg is very English friendly, and most restaurants around the centre - and especially in Nevsky Prospekt - will have English-speaking staff. My boyfriend (who does not speak Russian) was here for a week, and one time when we were out for breakfast he ended up chatting to a waiter who was telling him all about how he dreamed one day to go from India to Madagascar by boat. Of course, if you come from a culture where it is seen as rude to speak one's mind directly, you might find Russians impolite. From what I've seen, this has been the case of my British peers, who were at first taken aback by Russian straightforwardness. However, having had many conversations on this topic with Russians, I've understood that they never intend to offend or hurt anyone by being direct, it is simply the way they do things. Coming into Russia, I was very scared of living with a Russian host family. 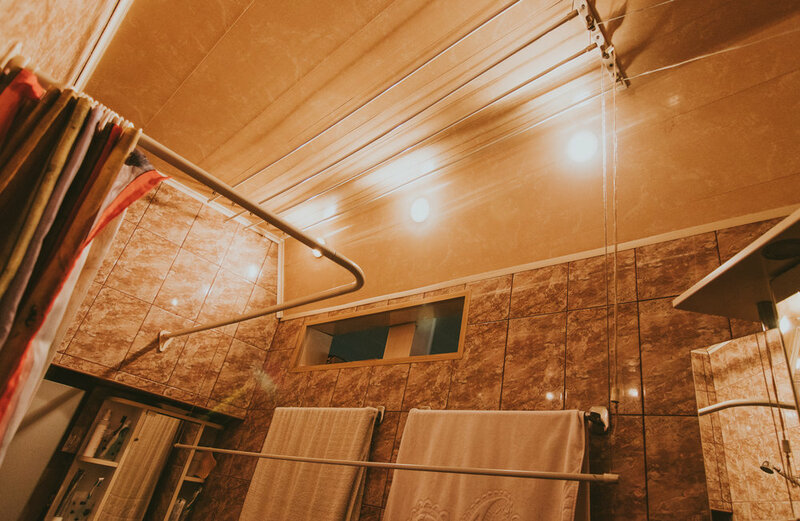 I had no idea what it would be like - the house, the people, the room itself, the cleanliness, how I would need to conduct myself. The worst was that no one could concretely tell me what it would be like, which only worsened my anxiety about this. However, all my fears melted away after my first week. I was lucky enough to be assigned to a flat in the very heart of St Petersburg, just off the famous Nevsky Prospekt (Peter's main avenue), at walking distance from anywhere I want to go in the centre (which in this huge city is 20-30 minutes). The flat is owned by a lovely Russian lady in her late 60s - a classic Russian babushka,-, who greeted me with a smile and openness that directly told me I had nothing to fear. 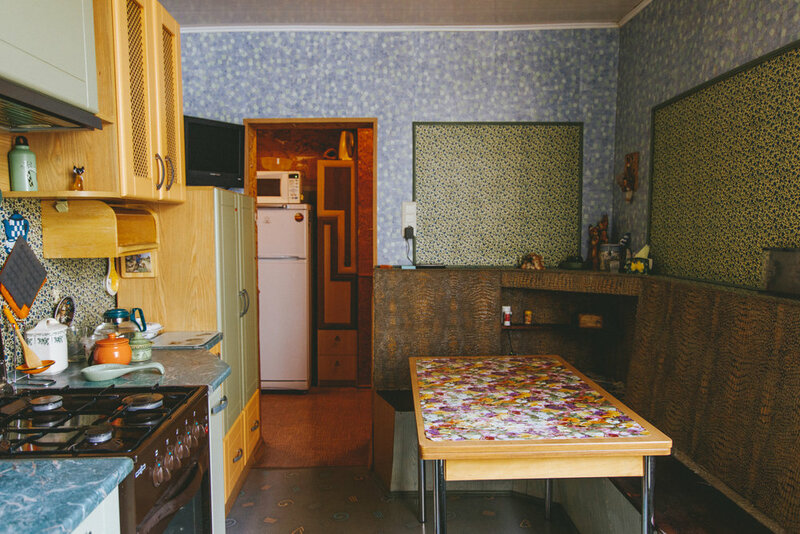 It is a typical Russian flat - small (by European standards), full of patterns and wallpapers, boiling in the winter (Russians like their heating), and inhabited by two adorable cats - Pinocchio and Martin. My room is very cosy, I could feel that she went out of her way to make it welcoming to us. I've also learnt that Russians are extremely practical people, and you can see this just from looking at the flat and how Russians use space. Although my Russian was terrible when I first arrived, I did not find communicating with my host lady difficult at all. Russians are surprisingly expressive, and they really make an effort to make sure you understand them - often through the use (or abuse) of hand gestures, such that I don't know anymore if we're talking or playing charades. But hey, it works. We're now quite comfortable with each other, and she's always happy to help me with anything - especially when I'm sick. A Russian babushka will never let you be sick without giving you a hundred health tips and telling you off for not wearing a hat outside. Yesterday she also taught me how to cook delicious сырники (syrniki) - Russian cottage cheese pancakes/fritters, again, using a mix of hand gestures, google translate and making me try everything. She's an amazing cook, and I'm really grateful to be able to experience the world of Russian home-cooking. It is weirdly similar to Portuguese food - a lot of potatoes, beef and pork and root vegetables, particularly carrots. And it is absolutely delicious. Not only this, but it only costs 300 roubles (€4.30/£3.80) per dinner, which unfortunately for my waist-line usually includes desert (I'm going to the gym, so I'm allowed some guilty pleasures, right?). Speaking of dinner, let's cover food. To me, one of the biggest pleasures of travelling is trying all kinds of foods I never even knew existed. I feel like travelling somewhere and just looking for food you already know - or worse, eating at the likes of McDonald's and Pizza Hut - will leave you with an incomplete cultural experience. Food is such a big part of culture and life - especially to Russians (which makes me feel right at home, as everything revolves around food in Portugal). Most important conversations happen at the kitchen table, over some tea with lemon, some sweets and, yes, lots of vodka. From what I've learnt from my host lady and her friends, although they enjoy eating out, they delight from hosting, cooking a large meal for their friends, welcoming them into their homes. Again, after trying Russian home-cooked food, I can understand why. 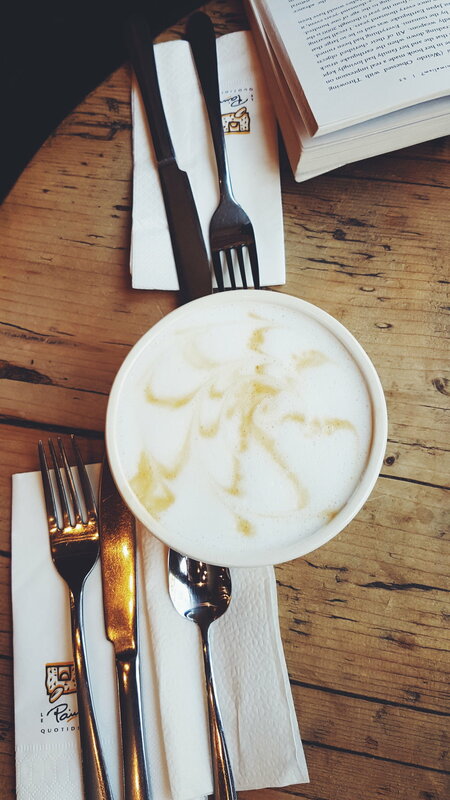 Nevertheless, St Petersburg has no lack of restaurants and cafes to choose from. I've found everything I've ever wanted here, from delicious traditional Russian food (such as pelmeni, cutlets, stroganoff, syrniki) to even vegan and Korean restaurants. Whatever your dietary requirements, you will never find yourself short of options here. Luckily for my coffee obsession, St Petersburg is the coffee capital of Russia, and pretty much anywhere you can find coffee chains, little sort of kiosks that sell take-away coffee, and many independent, hipster-looking coffeeshops (I can shamelessly admit that these are my favourite). Finally, the best thing about St Petersburg is the price of eating out. Unlike in most big European cities, here you can eat out at most restaurants in the city centre for as little as £10.00/€12.00 for starter, main and drinks! In most places I usually have a full breakfast for around 200-400 roubles (€3-6, £2.5-5), or a main course for 300-500 roubles (€4-7, £3-6). There is a lot more I can write on the topic of food, especially on all that Russian traditional cooking has to offer and I plan to do so in upcoming posts - so stay tuned! Life in St Petersburg is considerably cheaper than any other major European city I've ever been in (except Portugal), or anywhere in the UK. Of course, this has to do less with what the cost of living is in Russia, and more with the current exchange rates for euros to roubles, and the state of the Russian economy. It's important to note that I'm talking about costs from a European perspective, that of someone who's lived in the UK for four years. That said, my stay here has been such a relief to my wallet that I've finally been able to start enjoying things I never did before - like buying a gym membership, eating out all the time and taking music lessons. 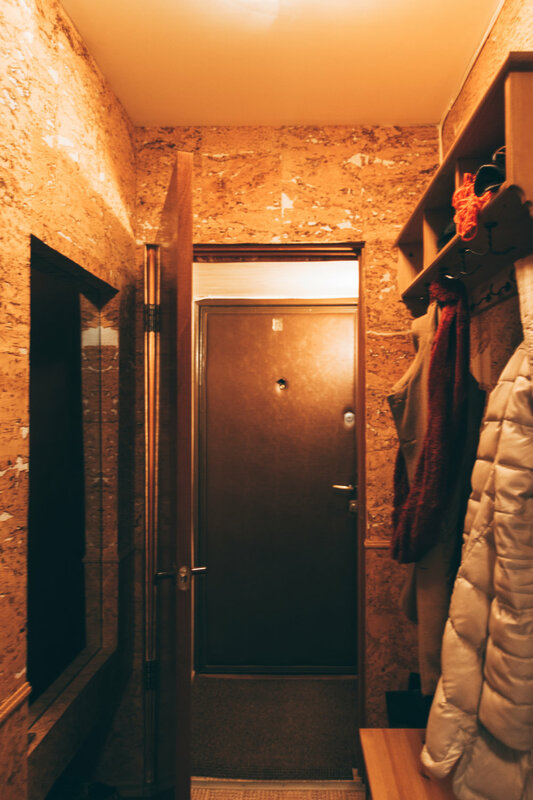 From what I've gathered from friends and Russians, you can comfortably live in the city centre, either in your own private flat or in a host family, for as little as £350/€400 per month. As I've mentioned before, eating out is not expensive when comparing to the UK, and I've managed to only spend around £400/€450 per month in food, in spite of not being allowed to cook (I'm limited to either eating out or eating at the host family). Cinema and theatre tickets are likewise inexpensive - about 300 roubles (£4/€5), and most museums are either free or have discounts for students, so leisure activities are very accessible. The only thing that I've found to be more expensive here are clothes/shoes - especially those from Western brands, which is not entirely surprising. In any case I did not come to Russia to go shopping so this hasn't affected me! As anyone who's ever heard anything about Russia, I was prepared to see tanks, bears and drunk people in the middle of the street at any time of the day. Of course, this is far from the truth. Thus far I can safely say that I feel safer walking around alone in Saint Petersburg, especially at night, than I do in Paris or London. In spite of the prevalent idea of a criminal Russia, violent crime is actually not at all common in this city, at least not against tourists or foreigners. The only thing you should worry about are pickpockets, which is the case for any major city. In the whole 2 months I've been here I have never felt threatened or unsafe by any situation or any person. Of course, it helps that I live in a main avenue in the city centre, which is always well lit and has constant movement. I've yet to see a bear or a tank. Yes, it is possible to see drunk people in the street sometimes, but they mainly just zigzag along the sidewalk and don't bother anyone. 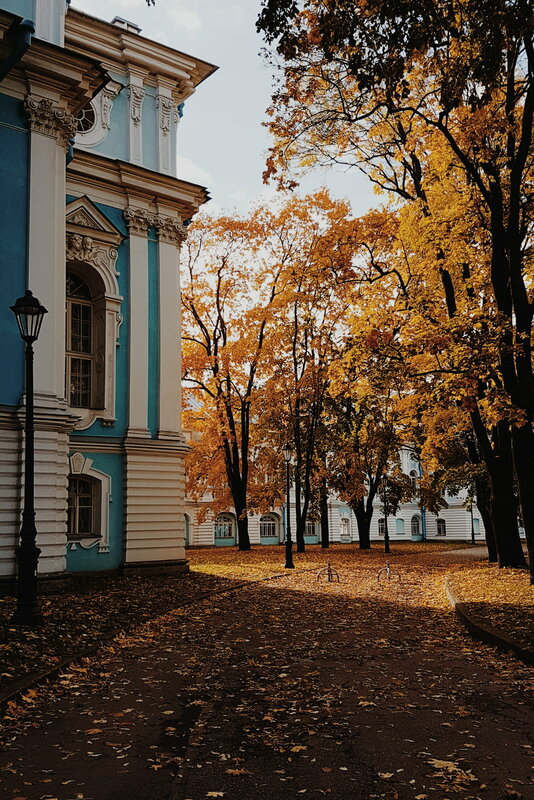 Being located in the north of Europe, it is only natural that the weather in St Petersburg is not at all as pleasant as that in sunny Portugal. I've been here since the end of summer, and it's been mostly either very cloudy or rainy, with some very rare days of sun. 2 weeks ago, it started to consistently drop bellow zero degrees Celsius, though it's constantly shifting, and at the time of writing it's about 6C - this morning my host lady told me "Helena, It's such a hot day!". However, I have also heard that by this time last year the city was covered in snow, so always expect the unexpected. The lack of sun is actually a serious problem for most people here, foreign or Russian, as Seasonal Affective Disorder ("winter depression") is a real cause of concern. Most of our teachers' advice to us is to stay busy, stay happy, do things, so that we can stay away from this issue. I have been ill for the past two weeks and I suspect it is related to this, as I had prior to this I had been in Portugal, where it was 30C and sunny pretty much every day. It is generally recommended by medical experts that we tweak our lifestyles if we suspect we're suffering from SAD. This would mean doing things that can improve our mood such as physical exercise, going outside more, getting plenty of sleep and practising meditation. To that I would add Skyping someone close to you and pouring your heart out to them, as this seems to always work for me. I've really enjoyed my time here. I'm grateful for the opportunity to see with my own eyes what Russia is like and to experience this beautiful culture. Of course, I can't say that I'm not happy to be leaving in two weeks but this is simply because I really miss home, my family and my boyfriend (and cooking!). I still have a lot more to share on Russia, such as my favourite foods that I've tried so far, the degree to which stereotypes are true, and much more - which I will in upcoming posts. If you would like me to answer any question about Russia, Russians or anything else leave me a comment in bellow or send me a message!